1. Eligibility. The USoul2Soul concert Promotion (the “Promotion”) is open only to persons eighteen (18) years or age or older as of the date of entry, or who have received permission from a parent or legal guardian, who are permanent legal residents of the State of Michigan and are physically located there. Employees, officers, and representatives of Sponsor’s advertising and promotion agencies, as well as the immediate family (spouse, parents, siblings and children) and household members of each such employee are not eligible. The Promotion is subject to all applicable federal, state and local laws and regulations and is void where prohibited. Entry in Promotion constitutes full and unconditional acceptance of these “Official Rules” and Sponsor’s decisions, which are final and binding in all matters related to the Promotion. Winning a prize is contingent upon fulfilling all requirements set forth herein. 2. Sponsor. Dairy Council of Michigan, Inc., a Michigan nonprofit corporation, and American Dairy Association of Michigan, Inc., a Michigan nonprofit corporation (collectively “United Dairy Industry of Michigan”, “UDIM”, or “Sponsor”) whose address is 2163 Jolly Road, Okemos, MI 48864, is the Sponsor of the Promotion. 4. Promotion Period. The Promotion begins on August 11, 2017 at 11:00 a.m. Eastern Time, and ends on August 25, 2017 at 11:45 p.m. Eastern Time (the “Promotion Period”). During the promotion period, a minimum of 4 tickets and one hotel room will be awarded. b. Postal Entries. 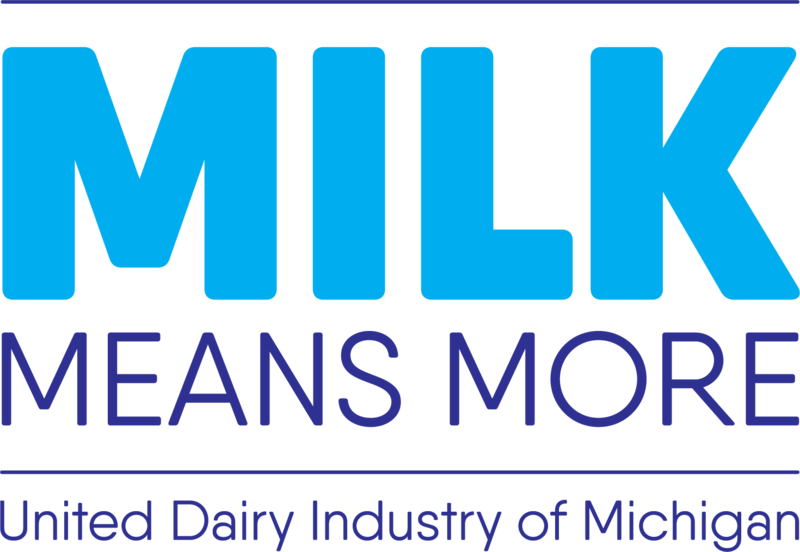 Any eligible participant may enter the Promotion via U.S. mail by sending a 3” x 5” card with his or her name, address, daytime and evening telephone number, and email address, in a standard business-size envelope, received no later than August 28, 2017 at 5:00 PM, to: United Dairy Industry of Michigan, ATTN: Soul2Soul Sweepstakes, 2163 Jolly Road, Okemos, MI 48864. Only one (1) handwritten entry per envelope. Sponsor is not responsible for lost, late, incomplete, invalid, unintelligible or misdirected entries, which will be disqualified. Only one (1) entry per participant during the Promotion Period above. If a participant submits multiple entries, including without limitation by following Milk Means More on Instagram using multiple Instagram accounts, the Sponsor reserves the right, in its sole discretion, to either disqualify the participant or to accept only the first entry. Entries become the property of Sponsor. 6. Random Drawing. Random drawings will be conducted by Sponsor at the end of the Promotion Period, as determined by Sponsor in its sole discretion. Sponsor will randomly draw a minimum of one (1) winner at the drawing (each, a “Winner”). A Winner need not be present to win and will be notified by one or more of the following: direct message to the winner’s Instagram Account, phone, email (if available), and/or mail. Sponsor may require a winner to sign an affidavit affirming that Winner has complied with these Official Rules, addressing other matters described herein, and stating other applicable prize restrictions and conditions. The prize restrictions and conditions described in these official rules are not all-inclusive. If required by Sponsor, the affidavit must be completed, signed and returned to Sponsor within five (5) business days after the date it is issued by Sponsor, or the prize will be forfeited and awarded to an alternate winner. If any prize notification or attempted notification is returned undeliverable, the prize will be forfeited and awarded to an alternate winner. If a winner cannot be contacted within five (5) business days of the drawing date, the prize will also be forfeited and an alternate winner will be selected. If the potential winner is found to be ineligible or the potential winner does not comply with these Official Rules, the prize will be forfeited and an alternate winner will be selected. A potential winner who is disqualified for any reason will not be entitled to any form of compensation. The prize is awarded “AS IS” and WITHOUT WARRANTY OF ANY KIND, express or implied (including, without limitation, any implied warranty of merchantability or fitness for a particular purpose), except that the prize will be subject to its manufacturer’s standard warranty (if any). The prize is non-transferrable and not subject to substitution, except by Sponsor, who reserves the right to substitute the prize in whole or in part with another prize of comparable or greater value if the intended prize is not available for any reason as determined by Sponsor in its sole discretion. All potential winners are subject to eligibility verification by Sponsor. 7. Odds. Actual odds of winning are based upon the number of eligible entries received during the Promotion Period. Each eligible entry will have a chance of winning the Prize that is equal to that of all other entries in the Promotion. Many will enter, but few will win. 8. Winner List; Rules Request. To obtain a copy of the Official Rules or a list of winners, you may send a self-addressed, stamped, business-size envelope to: United Dairy Industry of Michigan, ATTN: Janice Jackson, 2163 Jolly Road, Okemos, MI 48864. Winners information will be available after September 8, 2017. All requests must be received by September 1, 2018. 9. Liability. Sponsor will not be responsible for entries that are late, lost, illegible, incomplete, damaged, misdirected and/or postage due and accepts no responsibility for any injury, loss or damage of any kind resulting from a participant’s participation in the Promotion. By entering the Promotion, each participant agrees to these Official Rules and waives and agrees to release and hold harmless Sponsor and Sponsor’s parents, subsidiaries, and affiliated companies, and all other businesses involved in this Promotion, as well as the employees, officers, directors and agents of each, from, all claims, costs, injuries, losses, or damages of any kind arising out of or related to the Promotion or the prize (including, without limitation, any and all claims, costs, injuries, losses and damages related to personal injuries, death, damage to or destruction of property), whether under a theory of contract, tort (including negligence), warranty or other theory. Sponsor reserves the right to amend these Official Rules or to terminate this Promotion. 10. Taxes. Each Winner is solely responsible for all applicable federal, state and local taxes and any expenses associated with the prize, unless otherwise indicated. Sponsor will report the fair market value of prize winnings on Form IRS 1099 as required by law. 11. Publicity. As a condition of being awarded a prize, except where prohibited by law, the Winner grants Sponsor an irrevocable, perpetual, worldwide, royalty-free license and right, to publicize, broadcast, display and/or otherwise use the Promotion participant’s name and biographical material (collectively, “Licensed Rights”) in any media now known or hereafter devised throughout the world in perpetuity for advertising and publicity purposes, without additional consent, review, compensation, permission or approval of Winner. 12. Other Conditions. Sponsor reserves the right to cancel or modify the Promotion if fraud, technical failures or any other factor beyond Sponsor’s reasonable control impairs the integrity of the Promotion, as determined by Sponsor in its sole discretion. In such event, Sponsor reserves the right to award the prize at random from among the salvageable eligible entries received up to the time of the impairment. Sponsor reserves the right, in its sole discretion, to disqualify any individual it finds to be tampering with the entry process, making misrepresentations related to Sponsor or the Promotion, violating these Official Rules, or acting in a disruptive manner. In case of a dispute over the identity of a participant who submitted a winning entry, the authorized account holder of the email address associated with that entry will be deemed the participant. The “authorized account holder” is deemed the natural person who is assigned to an email address by an internet access provider, service provider or other online organization that is responsible for assigning email addresses for the domain associated with the submitted email address. The authorized account holder must be the participant, comply with these Official Rules and, in Sponsor’s sole discretion, may be required to provide proof of ownership of the email account. 13. Governing Law; Disputes. Any controversy or claim arising out of or relating to (i) this Promotion, (ii) the awarding or redemption of a prize and/or (iii) the scope, applicability, interpretation, or enforcement of these Official Rules shall be governed by and construed in accordance with the substantive laws of the State of Michigan without giving effect to any choice of law or conflict of law rules or provisions that would result in the application of any other state’s laws. As a condition of participating in the Promotion, each participant agrees that any and all disputes that cannot be resolved between the parties, and any and all causes of action arising out of or related to the Promotion, shall be resolved individually, without resort to any form of class action, before a state court of competent jurisdiction located in Ingham County, Michigan. Participants shall not challenge the jurisdiction of such court on the grounds of convenience, personal jurisdiction, or otherwise. Participant hereby waives all rights to claim or receive punitive, incidental or consequential damages and all rights to have damages multiplied or increased. Each participant further agrees that any claim, judgment, or award shall be limited to participant’s actual out-of-pocket expenses (i.e., costs associated with entering the Promotion), and in no event will participant be permitted to obtain attorneys’ fees or other legal costs. If any provision of these Official Rules is deemed void, unenforceable or contrary to law, that term shall, but only to the extent necessary to bring this section within the requirements of law, be deemed to be severed from the other terms of these Official Rules, and the remainder of these Official Rules shall be given effect as if they did include the severed term. THE PARTIES HEREBY WAIVE THEIR RIGHT TO JURY TRIAL WITH RESPECT TO ALL CLAIMS AND ISSUES ARISING OUT OF OR RELATING TO THIS AGREEMENT WHETHER SOUNDING IN CONTRACT OR TORT AND INCLUDING ANY CLAIM FOR FRAUDULENT INDUCEMENT THEREOF.